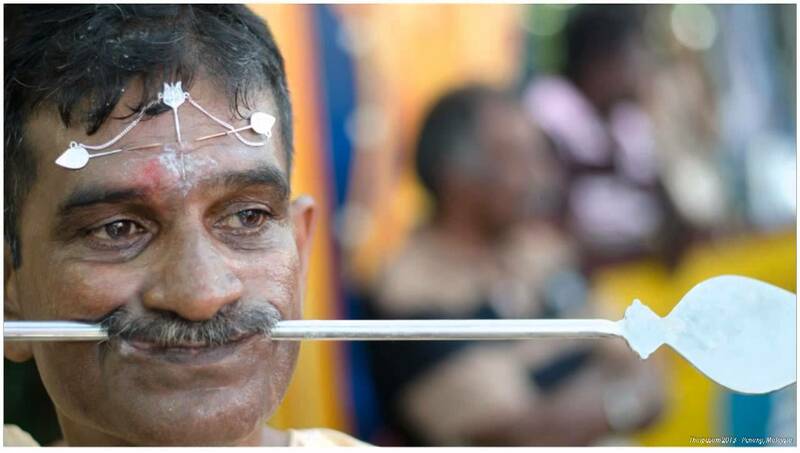 In Malaysia every year men and women skewer themselves with sticks, spears and hooks in the name of religion. 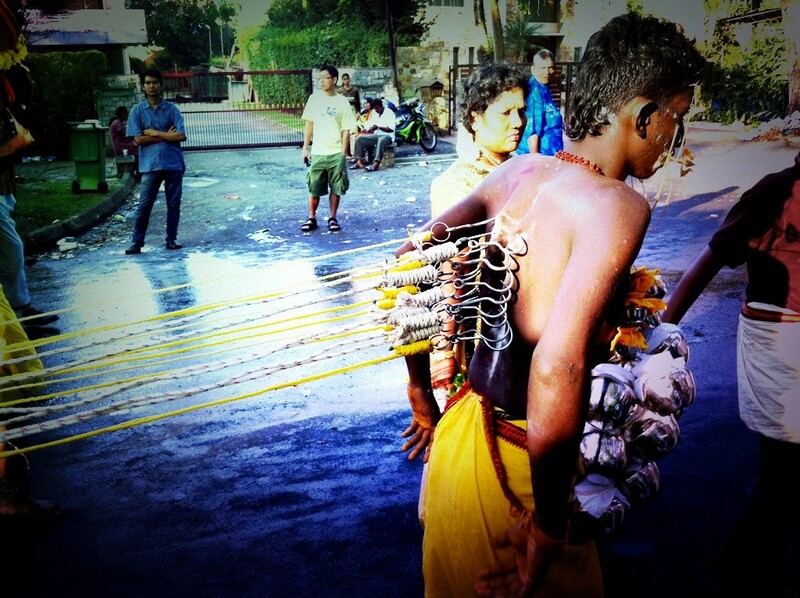 Welcome to the weird and wonderful world of the Thaipusam Festival. Penang, Malaysia. Its 5am, and in a car park down a side street, eight guys in striped polo shirts and t-shirts are banging drums. A small crowd is wailing and swaying to the beat. And a bare chested man is having a four foot pole pushed through his cheeks by two other men. A man with a big belly and an even bigger smile is watching the impaling closely. 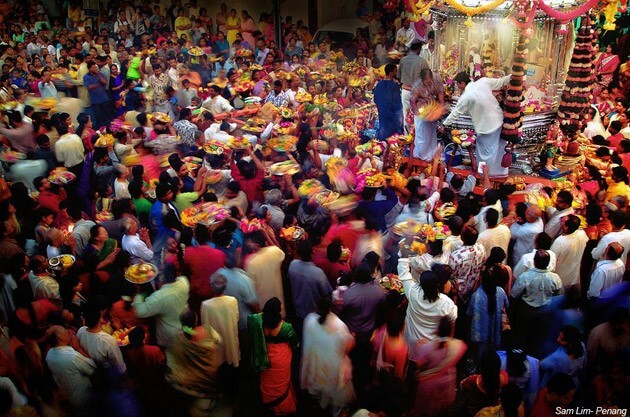 This is religious worship, Hindu stylee. I am on the island of Penang, Malaysia. 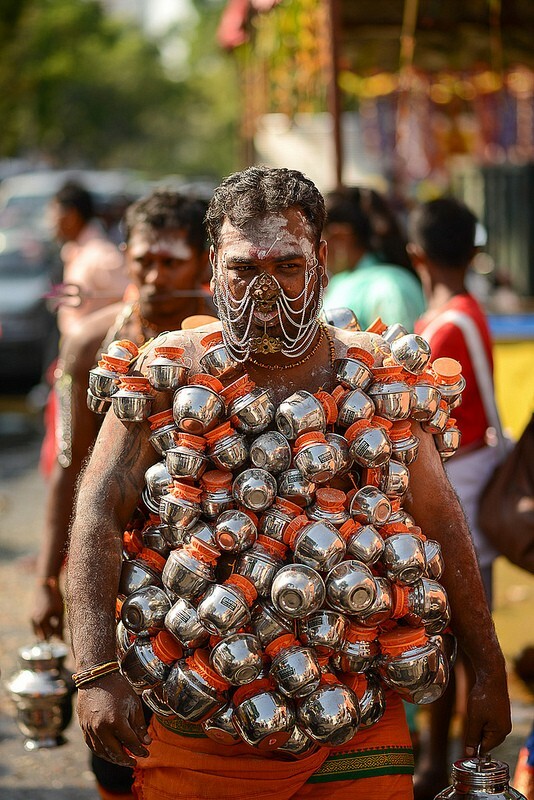 And the extreme body piercings are all part of the Hindu festival of Thaipusam. With fairground rides, sound systems and men with huge spears through their cheeks, this religious festival is Notting Hill Carnival meets Torture Garden. 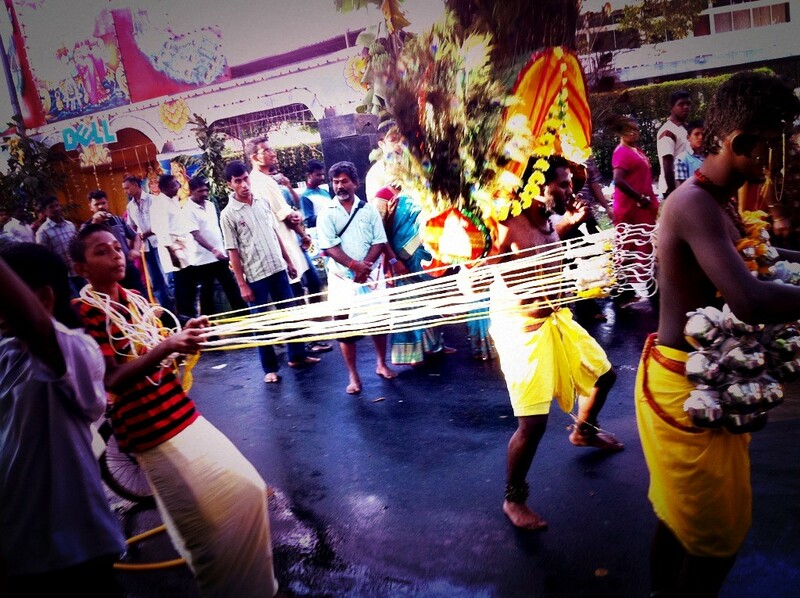 Thaipusam commemorates the day when the Hindu goddess Pavarthi gave Lord Muruga, her son, and also the Hindu god of war, a lance with which he destroyed demons. Hence why the bloke in front of me has a spear through his cheeks.